So Rai has opened her stash of cat nip codes and there are just too many. (It may have something to do with those wacky waving inflatable arm flailing tube man--they look suspicious!) As such, she has asked me to give some of these things away--mostly tanks and premium time. So now I have to figure out how, and I am no Paulie P. you see. 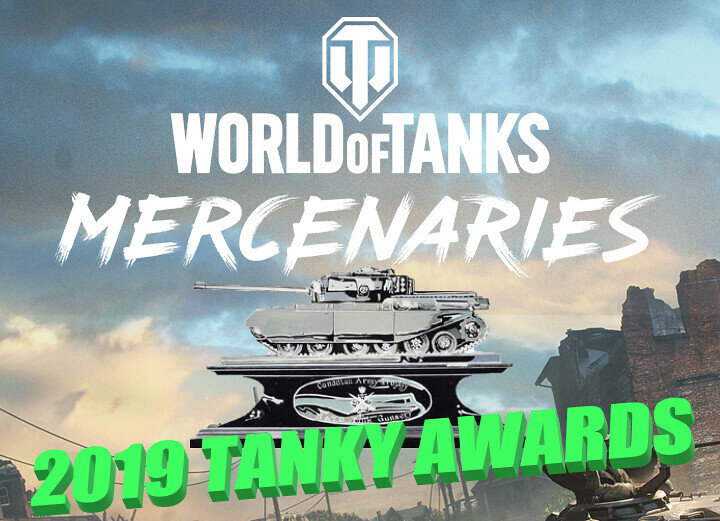 I do have a couple ideas: a random draw of Pascucci medal (or better) winners within a given time period; a dual platoon highest damage or xp event in a given tank; a moves like jagger contest, and to be fair probably an arty shotgun contest or something. Also considering perhaps something to do with forum wn8 contest, a create your own crew bio contest, or a thread of the week contest (not sure how I would judge that). But I thought for the first contest I would ask the community what you want in forum based contests--to tap your creative minds. So starting now, give me your ideas for contests we can run. It has to be something involving posting on the forum and preferable something in game and posting it on the forum. Most important, it has to be fun for the participants--challenging but not requiring super skill or incredible effort. Random draw events are ok, but so are skilled based events. There may also be just random pop-up quick contests. Lots of good entries here. Thank you everyone for the entries. Winners PM me your tank choice from the contest list. Some of these I hope Raibot might consider (too complex for me to administer) and some I will definitely use! One Random entry will receive 30 days of premium time. Congratulations SlickFawn149411. You win 30 days premium! I am the final arbiter of the places and please don't submit no effort or inappropriate stuff or copy my ideas (though a unique variation would be allowed) because I won't count it for the random draw--no time for that jibba jabber! Also, answer the poll and you will be entered into a seperate random draw for 30 days or premium time. Poll closes February 28th, 5pm, Central US, Chicago time as well. (All contests will be in Chicago time btw, because as my clan mates know I am not an international man of time!) I'll screenshot the answers and that will be the official entries. Congrats KilroyWasHere17! You have won 30 days premium time! If you have any questions post them here as well! If you win a Tank in one of my contests, as of 2/14/19 9pm Central time, there is a cooling off period where you cannot enter/win a Tank in one of my contests for 30 days. I want as many as possible to win and get free stuff. Those that won in the Honest Abe contest are still eligible for this contest if they already have an entry in. Tank art drawings CAD/freehand (not cut-and-paste) would be cool. I picked shill because reasons. Most death from above style frags. Something in game please Mr shill. Maybe giving out a free black tank as one of the rewards for a winner. Post your highest direct (or combined) damage game in your M3 Lee. PS- I only say this, because the M3 Lee was the most popular tank during console’s first year! Perfect tie in for a year five contest. That info-graphic brings back some memories! Create an instructional poster for new players. Must be a single unedited screen capture from WOT Console. Embedding image in frame OK but not required. Post to forum should include an appropriate title/tag line. Could be an example of what to do, what not to do or just inspirational. Judging based on quality of image, relevance of title/tag line and importance/uniqueness of point being made. Question for Gallant Prime - multiple entries to your contest allowed? Working title "Some of a Kind"
Goal is to have the highest number of the same digits. Four nines beats four eights. Five of a kind beats four of a kind. Digits just have to be part of the score. So 1024 Damage, 715 Assisted, 114 Bounced gives us "4 Ones"
Don't want someone to turtle half way though match because they have 666, 666 and 666! Edited by YoungestBike679, 10 February 2019 - 05:28 PM. I chose “Other” for Contest parameters..... Name a Mercenary Crew AND their animal sidekick that’s not RaiBOT01 and Biggs. One winner will be RaiBOT01’s choice, Prime will pick his/her 10 favorites and pick winners via poll, and a handful of other entrants will get randomly chosen for lesser prizes. Crew: Mickey Knives. He’s a pickpocket turned Mercenary who uses big tanks for big heists. Sidekick: Dingo the Wallaby. He’s cute and cuddly, but his keen hearing helps to keep the Crew alert to any unseen dangers. I always enjoy the photo contests! Create a community awards contest. Like a superlatives or best of wot type deal. It'll have different categories for awards, sort of like the Oscars or the Grammies of tanks. We shall call these awards the TANKIES! Tankers will submit game clips to enter the various categories. The WG staffers can then either select the winners directly; or they could nominate finalists and put them up for vote by the community. We will have categories that take skill, categories that take luck, and categories that are just ridiculous and fun! -The Stuglife Tanky- Awarded for the best display of being a boss in a StuG. There's two ways this contest can occur. Either throw all the categories out there and once, and have an awards stream to name all the winners. OR(and this is my preference) this could be a weekly running contest with a new Tanky awarded each week, that comes with a small prize; and at the end of it all, one grand prize is awarded to the best overall entry. For winning, tankers could be given a unique Tanky winner emblem in game. I think it would be a great contest because you get the creative element of thinking up the tank combined with the skillful element of drawing and embellishing it. lol you must not be satisfied with the number of Black Tank threads already! I think it would be close to complete meltdown if anyone started handing out black tanks. Btw--I am just a poor guy--all prizing is from WG and RaiBOT01! I think what I will say on this is limit of two--preferably in the same post, but only your best one can win. Rai has some fun funny themes! I think this contest arena should be-- the forum! Edited by hmsmystic, 08 February 2019 - 04:45 AM. I would suggest, the most spectacular death scene, dying is easy but going out in a blaze of failed glory is hilarious. First idea for in game contest with two steps. Some skill involved. Awards 10 places. Only tiers IV- X. Only Random battles. Platooning is allowed. Play a game in a light tank and be among the top 10 players on your team by experience earned. Play a game in a medium tank and cause damage to an enemy vehicle also win the battle. Play a game in a heavy tank and destroy an enemy vehicle and be among the top 10 players on your team by experience earned. Play a game in a TD. Be among the top 7 players on your team by experience earned and win the battle. Play a game in an SPG and cause damage to enemy vehicles at least 3 times by shooting or ramming them. Heavy Tanks: Achieve the highest combined damage blocked by armour and damage caused to enemy vehicles in a single battle. Medium Tanks: Achieve the highest combined damage caused to enemy vehicles and damage caused with your assistance in a single battle. Tank Destroyers: Achieve the highest damage caused to enemy vehicles in a single battle. Light tanks: Achieve the highest damage caused with your assistance in a single battle. SPGs: Achieve the highest combined damage caused to enemy vehicles and damage to enemy vehicles immobilized by you in a single battle. 1st place: Tier VIII Heavy tank T26E5 + 14 days of Premium account. 2nd place: Tier VI Medium tank T-34-88 + 14 days of Premium account. Second idea for in game contest. Awards 10 places. Random battles only. No other restrictions. Share the most strange/funny thing that happened in a battle. (Barrel roll / fall on another tank / hilarious jump / stupid decision that ended up in a wat moment /whatever else). Creative contest No 1. Awards 5 places. Create a model tank. It can be something you imagine OR a tank that is already in the game. No ready made models can be used. You must create something from scratch. Proof of construction can be pictures with your GT/PSN hand written and/or video with the same. Creative contest No 2. Awards 5 places. Create the following digital themed tanks. Can use any nation, any tier tank and reskin it OR make your own. WGs signature tank (a tank to show off at events). 5th place: 7 days of premium + 10 boosts X6 CREW XP + 1 nation drop (consumables).